So you’ve decided to take the leap and start your own business on Amazon, or even your own eCommerce store on Shopify. Congratulations! However, before you get started, you need the most important piece of the equation: a product to sell. With literally hundreds of thousands of possibilities, how do you know where to start? Do you want to follow a passion? Or do you care more about solving someone else’s pain point? I’ll talk about both these categories and more in this article. We also have a super easy way to find a product to sell in less than 10 minutes. Want to know more? Keep reading until the end! Do you want to drop-ship your products? This is important because not all suppliers will drop-ship for you. Drop-shipping margins are often smaller than shipping yourself, however the supplier tends to take on most of the risk and it frees time for you to market your business and grow. How much risk do you want to take on? High-ticket items, especially those that are easily broken like electronics, have a naturally higher risk. However, often times they also have higher reward. On the bright side, some suppliers will take responsibility for items broken in shipping if you decide to drop-ship. One way to go about choosing a product to sell online is to first decide the opportunity your product will cater to. This is a great way to find products to sell, because you already have proof of the demand of them based off the search volume for that particular set of product keywords. 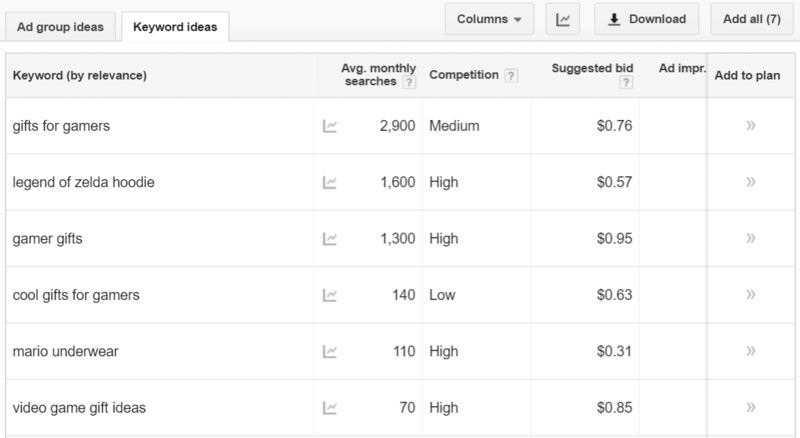 Shopify has an excellent beginner’s guide to keyword research. The easiest way to do keyword research is to use a tool like Google Keyword Planner to identify the number of times your product is searched for every month. The majority of opportunity to rank on Google is in long-tail keywords. The longer, the better, as long as people are searching for it. For example, the keyword “Shoes” is in incredibly popular search term with tons of competition. However, the long-tail keyword “Green Women’s Running Shoes” is much more specific. Typically, the long-tail keywords generate less traffic, but more sales, because people have already narrowed it down to the item they want. With single keywords, most people are still in the research phase and aren’t ready to buy. Essentially, what you want to do is type in any ideas of products you have into the keyword planner tool to see how many times it’s searched for per month. However, you also want to look at the competition of ranking for that keyword, and try to use long-tail keywords. Notice how “gifts for gamers” gets 2,900 searches every month, yet only has a medium level of competition. This is a good (not great) opportunity. Ideally, you want low competition to make the keyword easier to rank for in search engines. If you look, you can see the long-tail keyword “cool gifts for gamers” has low competition, but also only has 140 searches per month. Sometimes it’s a trade-off, but always keep an eye out for the keywords with high traffic and low competition – those are the golden nuggets of the eCommerce world. While these are great possibilities, they aren’t specific products. Once you determine the industry you want to sell in, you should focus on one specific product you think would do well based on your keyword research. What’s the world’s largest search engine, where everyone that searches for something wants to buy it? You guessed it – Amazon. If people are searching for something on Amazon, 9 times out of 10 they want to either buy it or are comparing prices before they buy. Amazon is the gold standard for all that is eCommerce today, and they are a great way to find product ideas. The key here is to look for items that rank high in the Amazon Best Sellers. Look for categories where the top products don’t have a lot of reviews (less than 50), or the reviews aren’t great. Anything less than 4.5 stars is probably beatable. That’s not to say you can’t try them – they may simply be more difficult than the others. Let’s do an example. I’ll choose Pet Supplies as my category. From here we can choose Dogs, Cats, Fish, etc. You’ll want to go as deep into the categories as possible to really find those niche products. My mom owns a bird, so let’s go with that. Then we’ll dig deeper into Cages & Accessories -> Bird Swings. There are a few things to look at: the number of reviews the products have, the types of reviews (good AND bad so you can see what to do and what not to do), and the Amazon Best Sellers Rank. 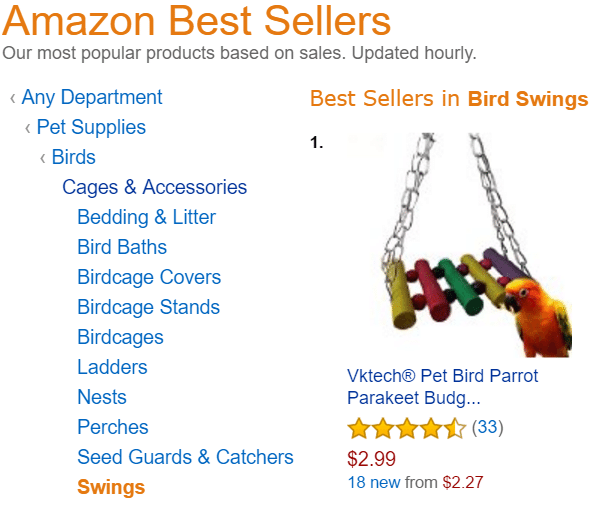 The first bird swing has a mere 33 reviews, which is great because it’s easy to gain more than 33 reviews. It has mostly good reviews, but some of them complain it is cheaply made, so we have an opportunity to improve it, which would also allow us to charge a sightly higher price. 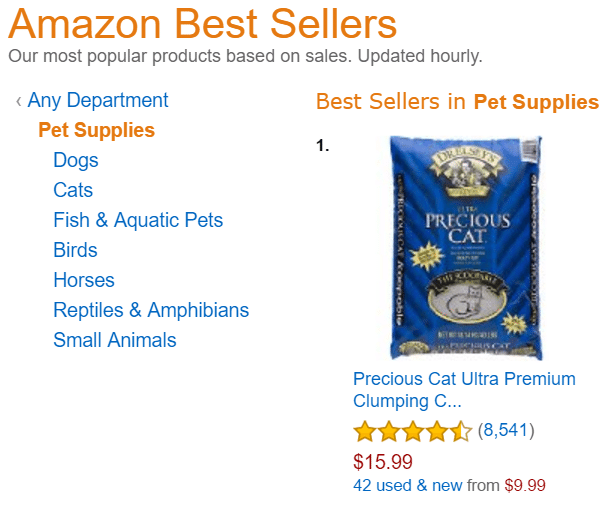 Finally, if we scroll down the page to look at the Amazon Best Sellers Rank, it ranks #1,700 in the Pet Supplies category. We want to shoot for lower than 5,000 in Best Sellers Rank, so this is pretty good. However, when we look at the other bird swings on the best seller page, their Bestseller Rank is significantly lower (high numbers are bad), with the next being #8,000. This could be a bad product to pursue. Competition – you don’t want to fight big, well-established brands. Stick to a niche. Number and Quality of Reviews – Low # of reviews is easy to beat. Bad quality gives you things to improve, good quality gives you things to add. Amazon Best Sellers Rank – Look for a rank lower than 5,000, and try to find a category with multiple items in that range. This may sound like a lot of work. That’s because it is. Keep reading until the end to find out a much easier way to find a product to sell. That’s something people say all across the world, every single day. As human beings, we seek to avoid pain and go towards pleasure. We’ll never have 0 pain and 100% pleasure, so there will always be problems to solve – you just need to keep your eyes open. Think about the things you do on a daily basis that could be made much easier if someone would just invent a way. Better yet, ask your friends and family if they’ve ever felt that way about anything. 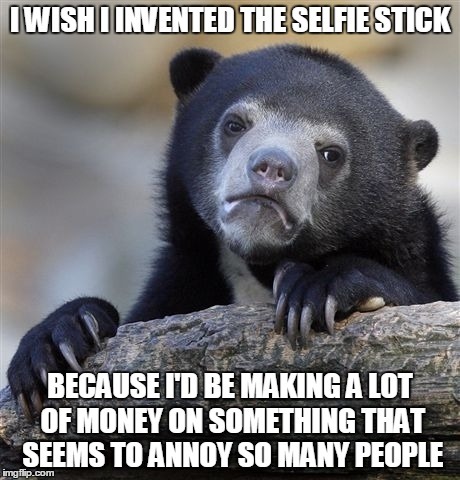 You’d be amazed at the plethora of ideas you might get. The only problem with this method is that you will have to actually invent something. You can’t just find a supplier who already sells it. That would involve finding a supplier who sells something similar, and seeing if they will work with you to invent the product you’re envisioning. We will be writing an article on how to find a great supplier soon, but if you’re ready to start now, check out the end of this article. 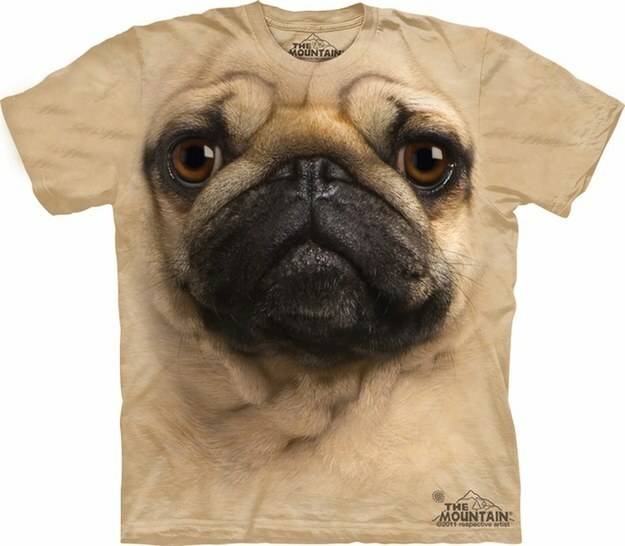 Have you ever been scrolling through Facebook, when an ad popped up of a shirt with your favorite movie on it? Replace that item with whatever you’re passionate about – a pug necklace, a cat sweater, a video game hoodie, an amazing fishing lure. Did you buy it? Did you have the urge to buy it? That’s because businesses know that people who are really passionate about something have a high tendency to splurge on random items they see that align with that passion. I started my first eCommerce business selling anime merchandise and jewelry imported from China. I had an interest in Anime, but not nearly as much as my customers did. It just happened to work for me. I went after my customer’s passion, not my own. How do you find out what consumers are passionate about? Beyond that, Facebook, Twitter and Pinterest also have a lot to say. Just go to those sites, and start searching for things they might be passionate about. Everything from clothing to jewelry, animals, hobbies like golf or gaming, music, movies, you name it. Once you have it narrowed down, you can use Amazon to see what’s out there and check to see how those products rank compared to the criteria mentioned in the Amazon section of this article. You can also go on sites like AliBaba or eBay to find a supplier who sells what you’re looking to sell. We’ll cover how to find a supplier in another article coming soon, so stay tuned! Getting overwhelmed? Don’t worry! At the end we’ll present you with an easy way to get started. What are YOU passionate about? If you’re passionate about it, chances are someone else is too! Are you a gamer? Golfer? Do you ski? Movie buff? What’s that thing that you can talk about endlessly, and you’ve bought stupid things related to it on more than one occasion? That might be a great opportunity to find a product to sell. Once you have some ideas, use the methods above to find specific products in that niche. Search for it on Amazon, eBay, or AliBaba (or AliExpress, which is more for consumers than big business). This method can be particularly lucrative, if done right. It’s done by looking at products already on the market, and seeing where they could be changed or enhanced to provide a better experience it’s current consumers are missing. This can be done by reading reviews on products on Amazon or eBay, and seeing what people are complaining about or wish the product had. 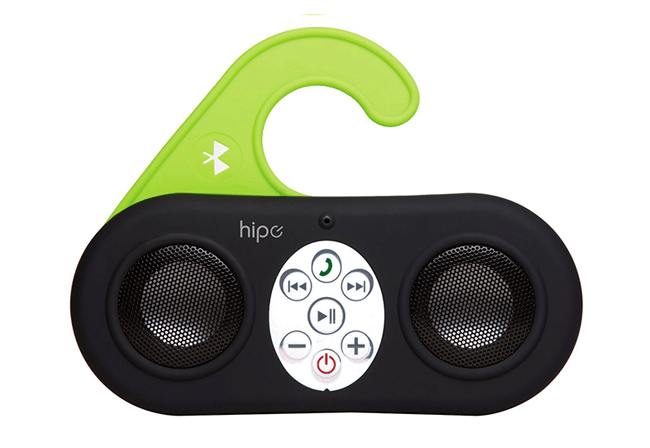 A perfect example of this would be the Hipe shower radio. They found out people were complaining most of the current shower radios didn’t have rechargeable batteries – so they made one with rechargeable batteries! If you’re going to sell stuff with copyright logos, like a Pokemon shirt, you must be approved to sell them by the company who has the copyright. Don’t let yourself get in a lawsuit. Factor in shipping costs and your potential profit margin. You’ll want to try to keep a healthy margin of at least 50-75%. Shipping, marketing, and other hidden costs really eat in to that. Don’t try to compete with big brands. Unless you have a serious plan to differentiate your product to be amazing, you’ll never catch up to them. Even then, they might steal your idea and out-advertise and undercut you. Try to find items that aren’t easily breakable, aren’t too expensive ($25-150 is a good range), and are easy to ship when you’re getting started. The less risk the better. This is a lot to take in, and seems like a lot of work. Isn’t there an easier way? Glad you asked! As we’ve been alluding too throughout the article, there is a much easier way. ChannelApe has partnered up with a multitude of suppliers, all of which have the ability to drop-ship and have a data feed to automatically add their products to your store, images and all. You’ll never have to manually update data. Plus, if you ever decide to sell on multiple channels (like Amazon, eBay, or Jet.com), we can push your products on to every channel instantly at the press of a button. We make the painstaking process of choosing a product and finding a supplier quick and easy, so you can focus on the fun parts of business. You pick the type of products you’d like to sell from out list. Pick from the list of suppliers we have in that category. Sign up for our 14-day free trial. Build your store using Shopify, or have us build it for you! Voila! Within mere hours you now have your very own eCommerce store. If you’re ready to get started, go through our 6-step process to selling online now. Don’t wait. Today is the day! If you decided to take the hard way and want to find a product and supplier yourself, stay tuned for our upcoming article on how to find a good supplier. 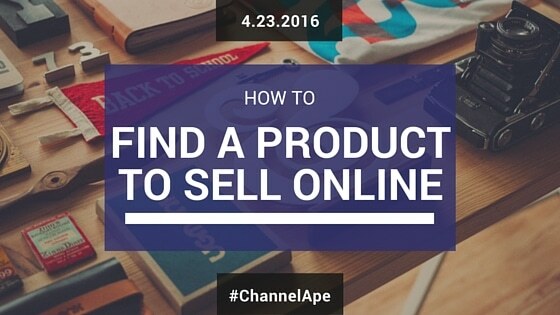 If you have any questions, feel free to leave a reply or email jmd@channelape.com. I hope you’ve found this article helpful! Please share it with anyone you know who is looking to start an eCommerce store. There were a lot of links scattered across this article, so I though I’d put them all together for you. WatchCount – This wasn’t in the article, but it’s an awesome way to find out what’s selling well on eBay. AliBaba – International wholesale B2B suppliers. AliExpress – Like AliBaba, but for smaller businesses/consumers. Amazon Best Sellers List – The best sellers on Amazon. Duh. Google Keyword Planner – A tool to find keyword trends on Google. Bill is a content marketer and eCommerce lover. From video games, to vitamins, to imported products, he's sold them all. Find out more at www.billwidmer.com!